Angular 0.6 months experience also fine. Skills : Java, Spring/Hibernate Frameworks, Webservices(Rest/Soap). Automation Testing with Selenium, QTP/UFT etc..
Extramarks Education India Pvt. Ltd., D-180, Sector-63, Noida-201301. Address: C-40, Second Floor, Sector 58, Noida. > Analyst, Software Testing & QA having 1 to 3 years of experience. Experience of 3+years on Manual testing with over 2 years of experience on Automation testing or at least one project done on Automation testing. Experience of working on E-Commerce platform along with Web and mobile testing experience. > Design and execute Test plans. > Provide Testing Effort and meeting the project timeline. > Collaborate with the project team. > Highlight Risks to the test lead and coming out with Mitigation plan where ever possible. > Planning, execution, and tracking of automation test suites – front end and back end. > Planning, execution, and tracking of performance testing. Company Name : 2aSquare Infotech Studios Pvt. Ltd. Hands on experience in writing automation tests in any programming language (Java, Python, Ruby etc) using web automation tools like WebDriver, Selenium, Appium etc . > QA Specialist should be a dynamic, result-oriented member of the product development team whose primary responsibility is to understand the products, gain substantial knowledge on how FE organises data and develop/ support applications using agile or Kanban methodology and ensuring the quality standards of the developed products are met. > Should be self organized with the right attitude to respond to a change through collaboration and problem solving, both as an individual or as a team. > Performance Testing Minimum 4 years experience with 2 Yrs mandatory into Jmeter. > Must have experience in Jmeter(2yrs) and should be working in current project. > Must have performance Testing experience (Load, Stress & Failover testing Knowledge) with Jmeter (Mandate) and can join Immediately. > The successful candidate will be an experienced Performance Test Engineer with a track record in delivering multiple concurrent, complex projects. > Translates Non-functional requirements into performance test cases and Load runner scripts. > Develops and executes Load and performance test plans and scripts utilizing VSTS / Load runner . > Monitor various components of Azure during the load test and pin point bottlenecks . write sql scripts / store procedures and analyze the performance of individual service bus layers . > Assists in identifying and documenting performance issues across VSDN components. > Create bugs and follow up with dev and architects to find the root cause of the issue. > Initiative and proven ability to independently work on projects to completion. Company Name : Amazon Development Centre (India) Pvt. Ltd.
> An engineering graduate with 2-3 years of experience in testing. 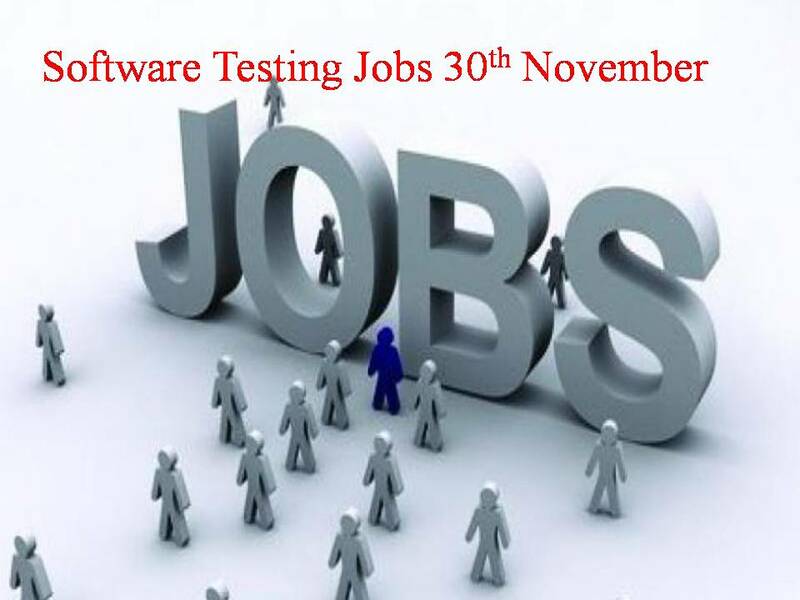 > Has experience working on defect tracking tools and test case management tool. > Execute test plans & test cases, creating test data, and reporting results in a timely, clear, and concise manner. > Should have understanding of the functionality of the project/product. Should have the ability to stay connected with changing requirements and documentation. > Should be able to actively look for gaps in test cases and look beyond test cases for issues/bugs. > Should execute processes to thoroughly test product changes. Contact Company : Amazon Development Centre (India) Pvt. Ltd.
> Proven ability to interact with developers and domain SMEs. > Manual and automation testing test plans preparation/updating, logging defects. > Regression and Feature functionality testing. > Prefer personal finance / core finance domain testing experience. > Ability to settle down quickly in a new environment and work independently with minimum help from team members / team leads.